Preschool and School Age children at The Children’s Center and The Special Children’s School have the opportunity to participate in therapeutic horseback riding as part of their school experience. 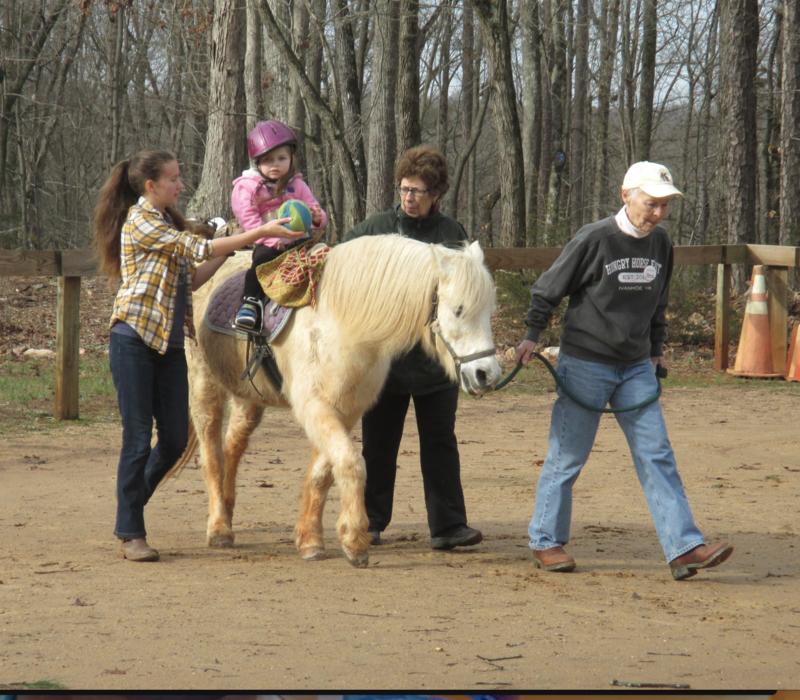 Our wonderful partner – Riverwood Therapeutic Riding Center – provides quality, professional equine assisted activities for both children and adults with special needs. Equine assisted activities help to improve muscle tone, balance, posture, coordination and motor development as well as emotional well being.